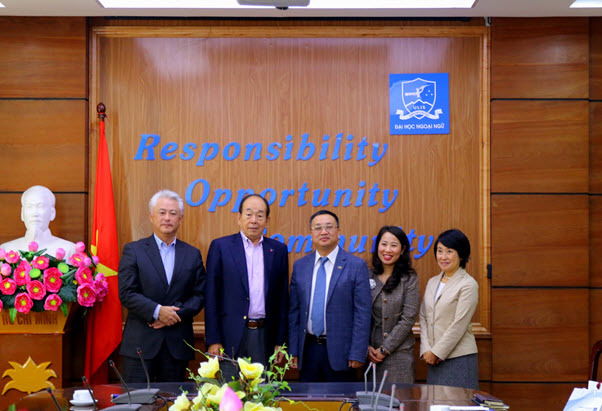 On November 23rd, 2018, ULIS-VNU visited and worked with representatives from Japan International University and Mitsui Busan Vietnam. Attending the meeting were Dr. Do Tuan Minh, ULIS’s President; MSc. Mai Van Hoa, Deputy Head of the Cooperation and Development Office; MA. Nguyen Van Doan, Deputy Head of the Politics and Student Affairs Office; Dr. Dao Thi Nga My and Dr. Tran Kieu Hue, Dean and Vice Dean of the Faculty of Japanese Language and Culture. From the Japanese side was Mr. Shoei Utsuda – President of Japan International University / former Chairman of Mitsui Busan Company; Mr. Masahiro Moriyasu , General Director of Mitsui Busan Vietnam and Mari Takaba, Vice General Director of Mitsui Busan Vietnam. 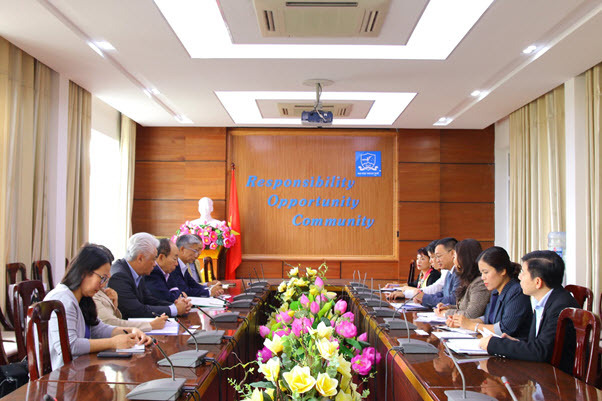 Remarking at the meeting, President Do Tuan Minh thanked the help of the Japan International University and Mitsui Busan Vietnam. “For the International University of Japan (IUJ), the University considers it as an important partner in development cooperation” He said. 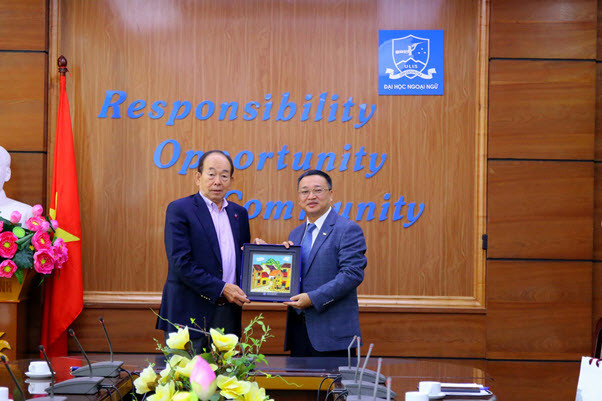 President Do Tuan Minh also thanked the Mitsui Busan Vietnam for its sponsorship of events, recruiting ULIS students to work, sponsoring teacher and student training courses. He hoped to continue to receive the help of the company, especially in the training and recruitment of students. President Shobei Utsuda, President of Mitsui Busan Vietnam and Mr. Masahiro Moriyasu, expressed their approval to the proposals made by President Do Tuan Minh, and hoped that cooperation between the three sides would be continued in the future.